Free animal vector cartoon download featuring a funny pig wearing a shoulder bag and head band in front of a city backdrop. The pig appears to be floating or flying and combined with his apparel suggests he may be a hippie pig. Fun image for a music comic, cartoon illustration or desktop wallpaper. This design is also cool for your delivery and express services promotions. 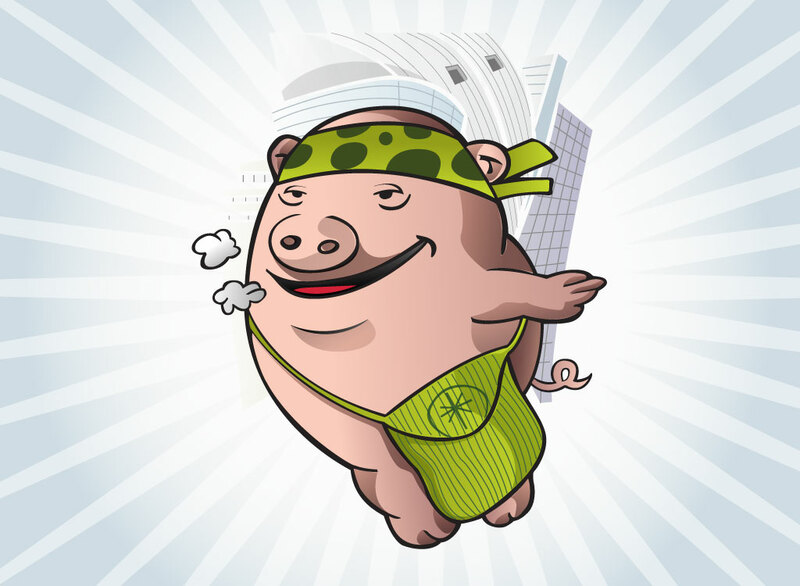 Tags: Buildings, City, Comic, Delivery, Express, Funny, Hippie, Pig Vector.